They have a dream. One day, they want to fly in the sky. Even if they know that the sky is blocked by glass. In the distant future, people have moved to a city they have built on the devastated earth, called Plantation. One residence facility they have built there is called Mistilteinn, also known as the ‘bird cage’. The children live there without knowing the outside world or what ‘the wide, free sky’ is. They are only taught how to fight. The enemies are giant mysterious creatures called Klaxosaurs. 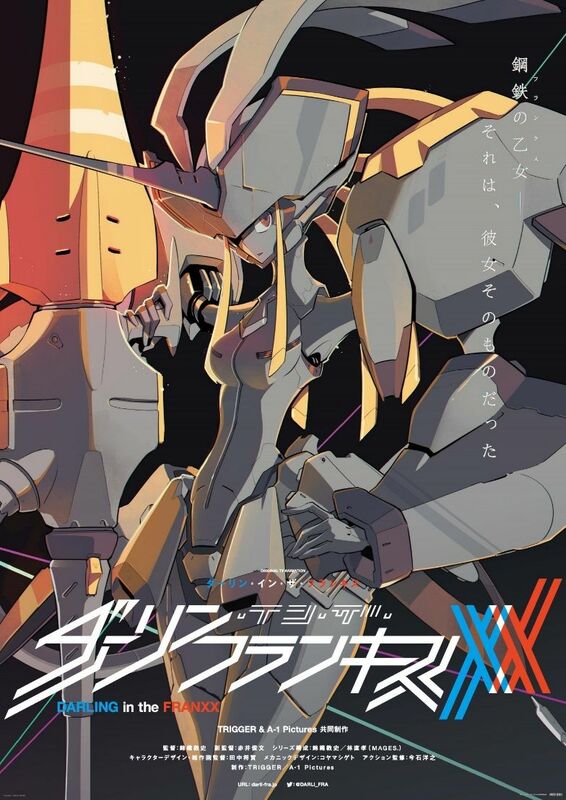 To face this enemy they haven’t seen yet, the children embark giant mecha called Franxx. They believe their existence is proved by riding them. There is a boy who is called a prodigy. 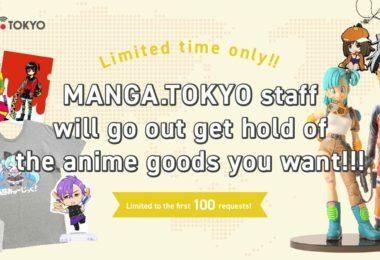 Code number 016, Hiro. But now he is falling. He isn’t needed. 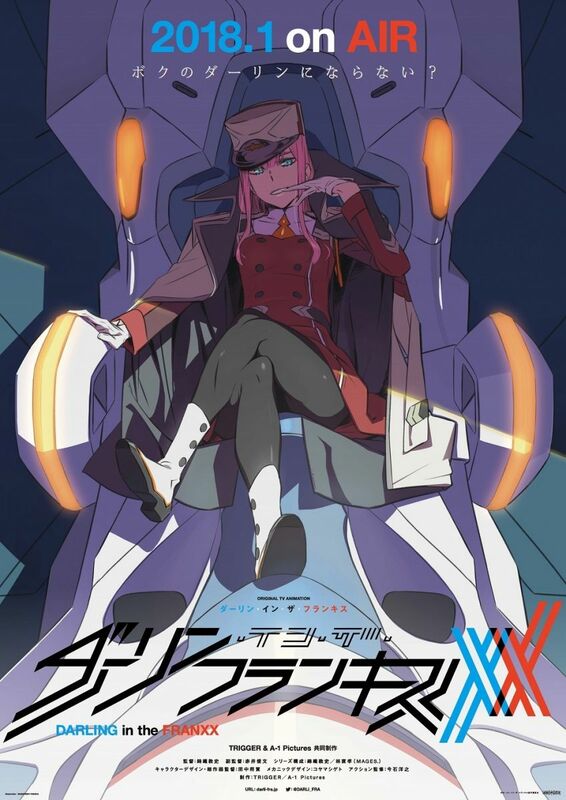 If he can’t ride a Franxx, it’s as though he isn’t there at all. One day, a mysterious girl called Zero Two appears before him. Two horns are growing on her forehead. * Please note that these PVs are not available in Australia, South Korea, Mexico, New Zealand and the United States of America. 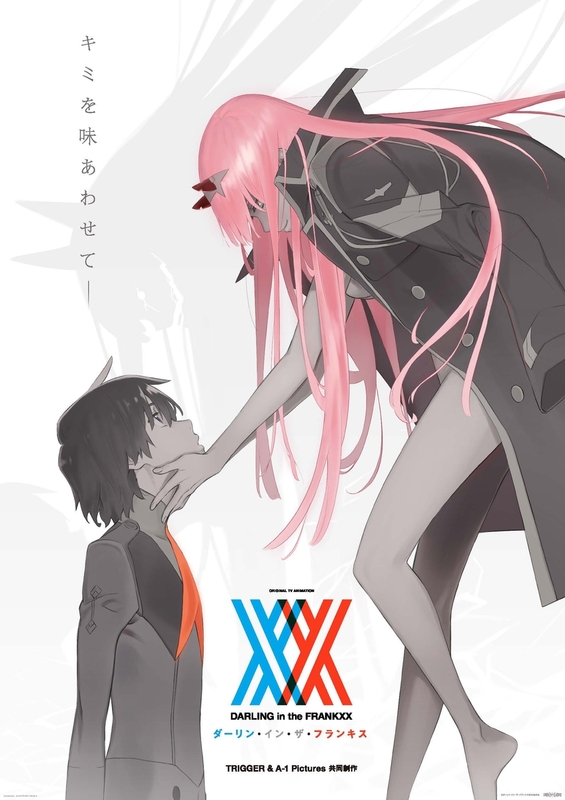 This anime is a co-produced original science fiction series between Trigger and A-1 Pictures. 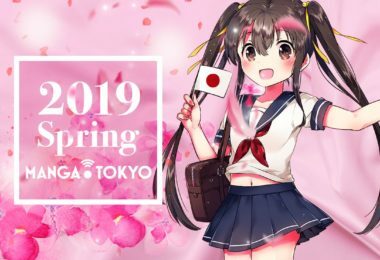 Survey Results: Which Female Spring 2018 Character is the Best According to Male Fans? 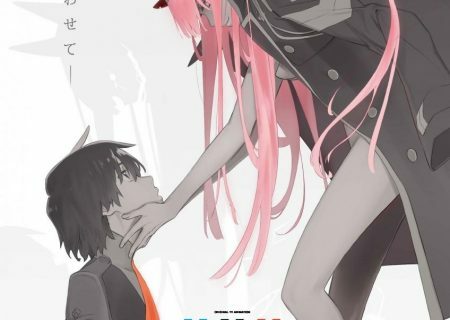 Darling in the Franxx Releases Second PV and Reveals Additional Cast!